We are inviting you to join us to take part in what we hope to be the biggest Global day of action for West Papua so far. 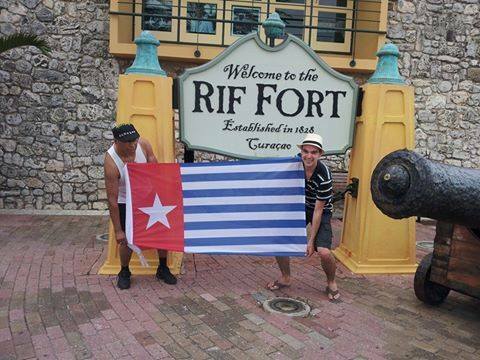 Each year we ask supporters to take photos of themselves holding the Morning Star flag in solidarity with West Papua and each year it gets bigger and bigger, evidence that the world is increasingly rising up and becoming aware to the situation in West Papua. Scroll down for a list of global solidarity events you can join and other ideas on how you can be a part of making history with us!. 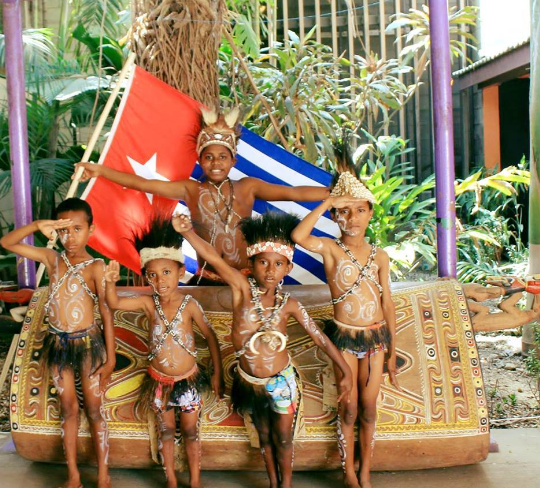 The 1st December marks West Papua’s original independence day when the Morning Star flag was first raised in 1961 before being invaded by Indonesia. The flag is recognised as the national flag of West Papua and continues to be the defining symbol for a Free West Papua. 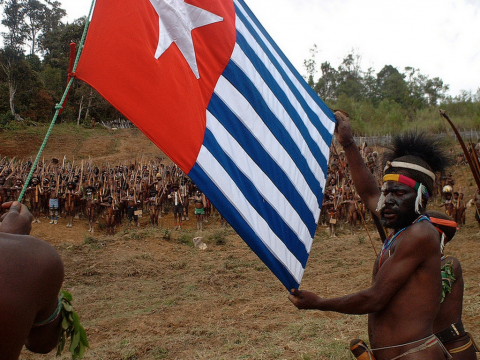 Today it is illegal to raise this flag in West Papua and people who do face arrest, torture and long jail sentences. Former West Papuan political prisoner Filep Karma served 15 years in prison just for raising the flag on 1st December 2004. 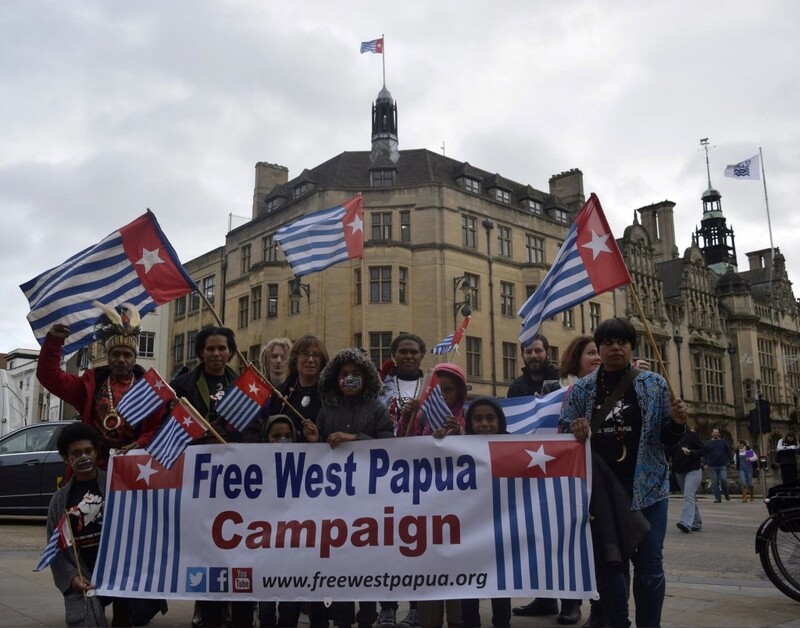 The world is increasingly rising up in support of the West Papuan people, but with international progress, Indonesia react with increased intimidation and brutality & there have been more arrests this year than ever before. Over 4000. We remain concerned for the well-being of our brothers and sisters in West Papua this December who will take to the streets on the 1st & for the MSG on the 20th. We need to show Indonesia that the world is watching. 1) Send us a photo from wherever you are PLEASE join in and invite all of your friends and family locally, & around the world to do the same and then share the photos to facebook or twitter. 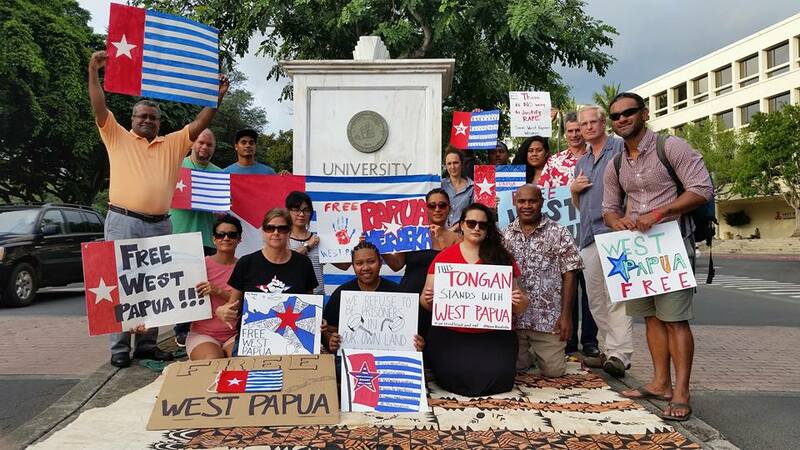 We’d like to create map around the world of where the flag is being raised to build a truly global picture of the support for a Free West Papua. There’s a prize for the best! If you don’t have a flag, make one, or you can simply print out this image. 2) Check-in to West Papua now on Facebook. Like the campaign for Standing Rock it’s a peaceful & powerful way to symbolise we are standing besides our brothers and sisters in West Papua. 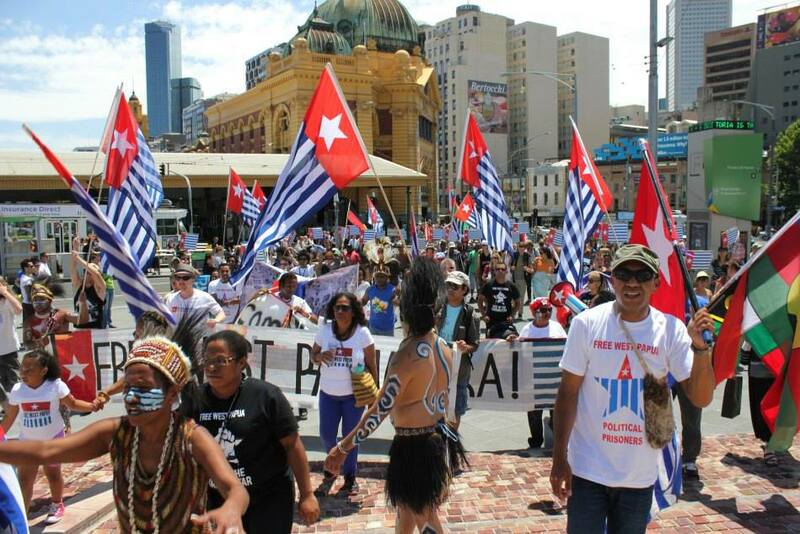 4)We need to keep talking about West Papua now and throughout December. It is urgent that we shine a light on our brothers and sisters in West Papua. Even if you have just 10 minutes to spare, help us to engage with media; human rights groups; people in the public eye and other solidarity campaigns . There are some useful links to short videos and articles for you to share at the bottom of this page, and plenty more on our website. Please copy and paste these above actions or go to our facebook page and share share share with everyone you know! We encourage as many groups and individuals to take part on this day by themselves if they would like to, but there are also a number of events which are being officially already organised by solidarity groups worldwide. We are also holding a competition for the best/most dramatic photo. Be imaginative and have fun by thinking of an eye catching or significant location or why not try to get as many people as possible all holding images of the flag in one photo. 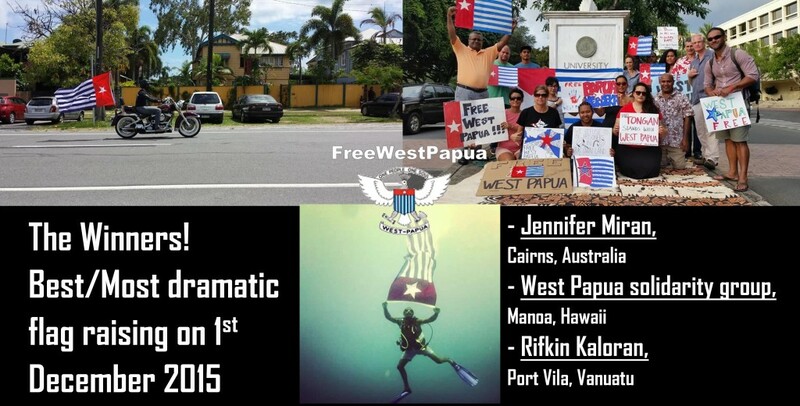 Last year there were 3 winners, who all won a Free West Papua poster signed by Benny Wenda. Renowned UK artist Akala raising the Morning Star flag and showing his solidarity for a Free West Papua! 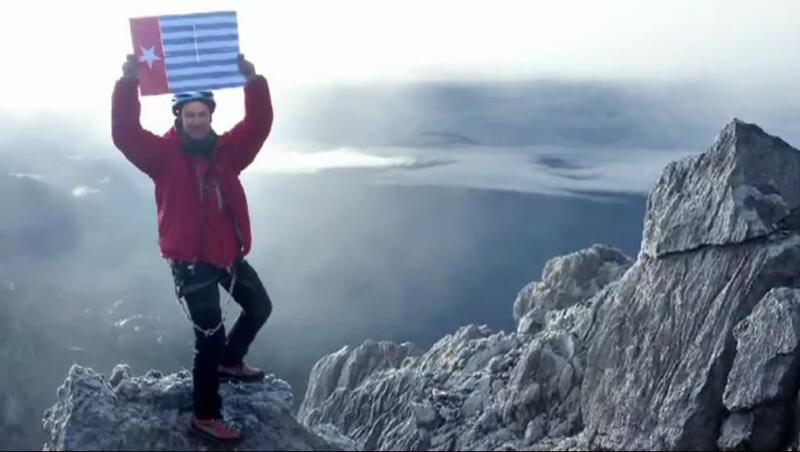 Finally, take a look at the latest famous face to add their support and use their voice to support freedom for the people of West Papua by raising the Morning Star flag! 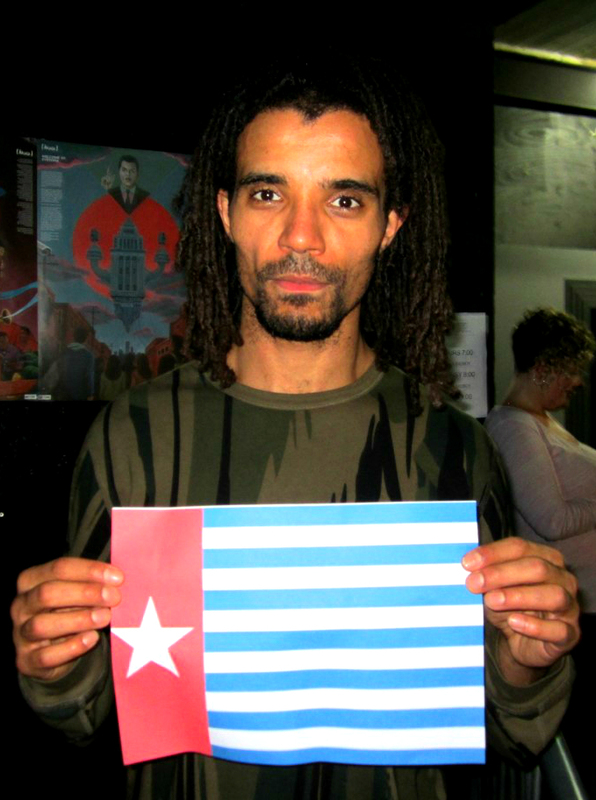 Massive thanks to renowned UK artist Akala for all his strong support and solidarity for West Papua’s freedom! Big up, respect! 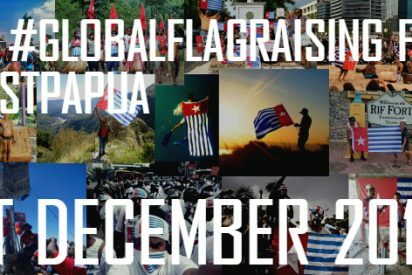 Please join us and let’s keep West Papua solidarity strong throughout December. 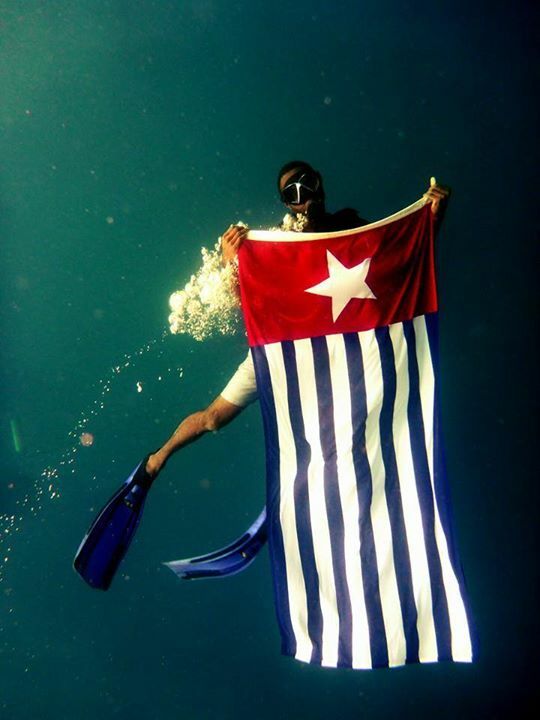 This year on 1st December the Free West Papua Campaign is calling on people all around the world to take pictures of themselves holding or raising the West Papuan Morning Star flag in solidarity with the people of West Papua.